Kade Klemke multi-tasking as player-coach with the Canberra Demons. Photos: Supplied. 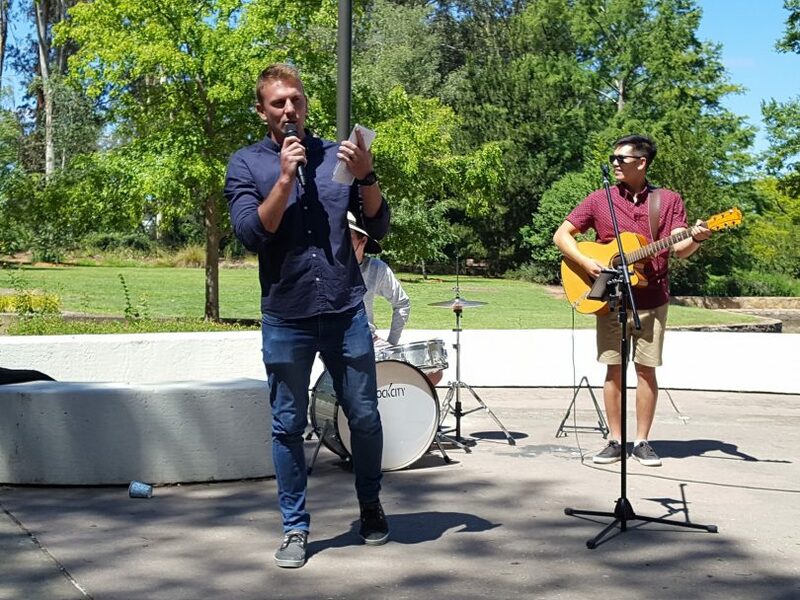 Kade Klemke is driven to help others, both on and off the football field, in his roles as Canberra Demons coach in the NEAFL competition and as a pastor with Divergent Church. At first glance, the two appear to be polar opposites. That’s until you spend some time with Kade and realise there are many similarities with teaching and leadership at the forefront of both. As a football coach he says you are teaching and explaining the game plan, while as a church leader you are teaching the Bible. Kade Klemke with wife, Rachel, and son, Tom. 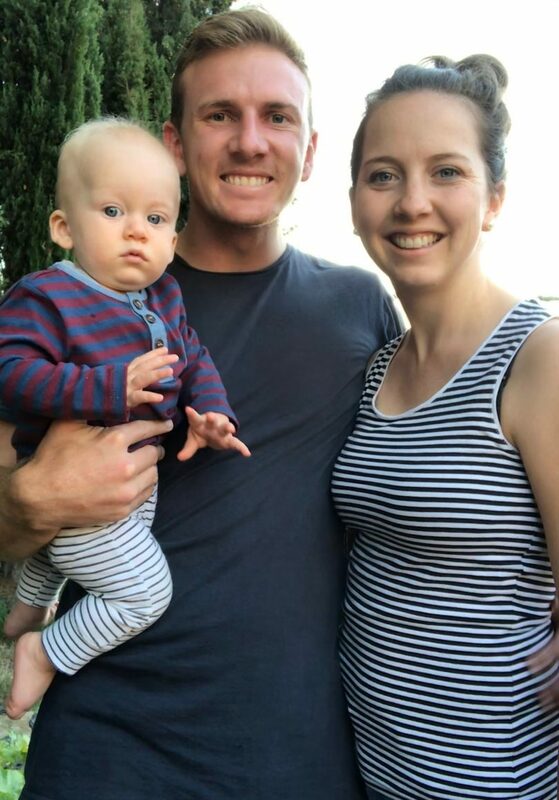 Kade and his wife Rachel oversee seven churches, six in the Canberra region and one at Tallong, which is just under ten kilometres from Marulan. 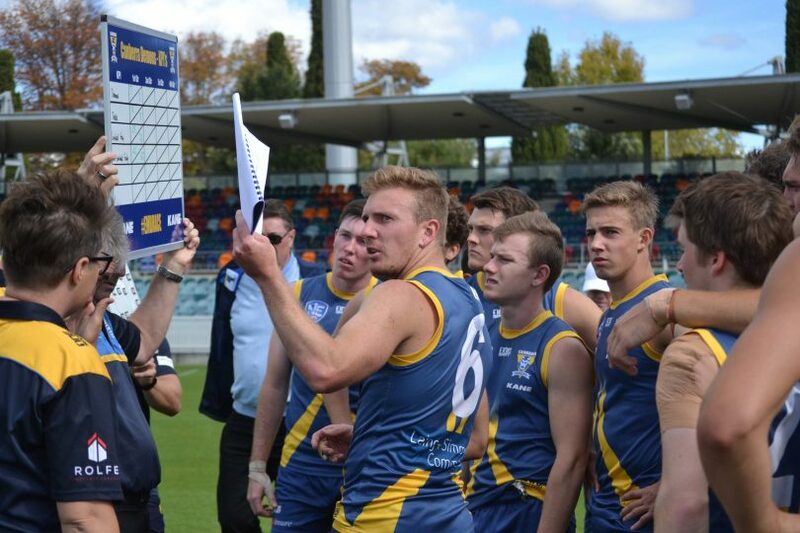 Saturdays are spent as the player-coach for the Canberra Demons, and on Sundays, Kade can be found preaching up to four sermons in a single day. To Kade, the congregation needs to understand what you are saying, and communication is just as important as when dealing with football players. In many respects, Kade has found his calling on both fronts. Growing up in a Christian family, the church was very much part of his life. On at least one occasion it has helped him overcome setbacks in his football career. Raised on a farm in Henty in the Riverina, Kade was a leader from an early age and captained many teams he played for. Injury, though, thwarted his AFL aspirations after being drafted as a rookie by Essendon. The setback forced him to reassess. At just 20 years of age, he was appointed senior coach at Culcairn before moving to Queanbeyan, where he spent five years coaching, playing and leading the Tigers to success. At the age of 24 years, during his time in Queanbeyan he became a pastor with LifeCity Church, which is now known as Divergent Church. Kade Klemke, equally at home in his role as a pastor as he is as a football coach. Growth in Divergent Church has been replicated with success on the football field, with the Demons making the finals for the first time last year. In fact, he says he derives greater joy helping others than from anything else. 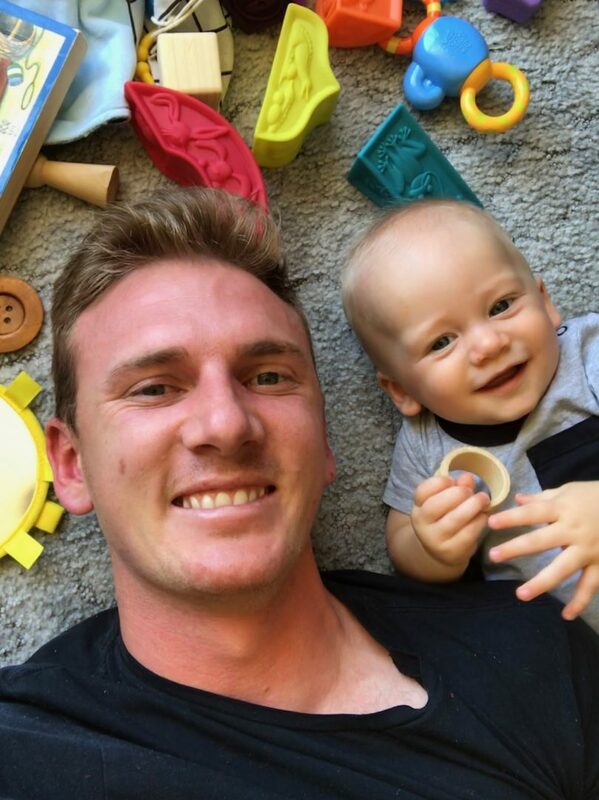 And judging by what I have seen with the Demons players, he has instilled a strong sense of community within the team with the players involved in a number of self-initiated projects. Kade says he is looking to instil three things that are important in his life into the playing group: love; empower; lead. By love, he means he wants the players to know they are cared for; he wants to empower them to be the best they can be, and he wants to lead by example. From what I have seen it is working, with the playing group one of the most impressive I have been involved with. As Kade will tell you, life’s more than footy. Kade enjoying time with his son, Tom. Great read. It is always good to see positive role models motivated by their faith in Jesus.